Spirit Sleeves (sold in pairs) are perfect for groups to sell at sporting events, in school stores, or even presale. Contact us at (888) 203-7168 and we will provide you a simple order taker for the Spirit Sleeve of your school colors. Collect orders from students, teachers, and fans - then simply order how many you need! • FREE SHIPPING anywhere in the U.S.A.
2. 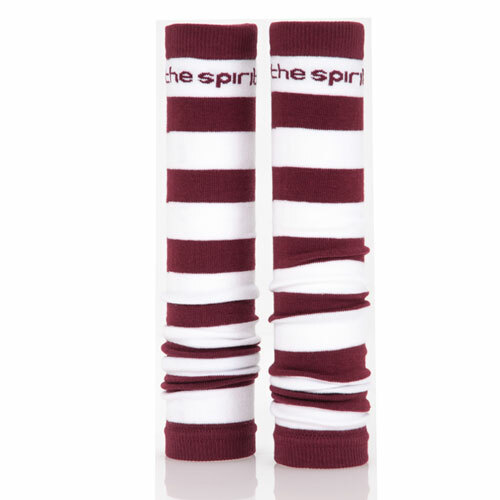 Your price for one Spirit Sleeve pair is only $6.00. 3. You make $4.00 Spirit Sleeve pair. That's 40% PROFIT!